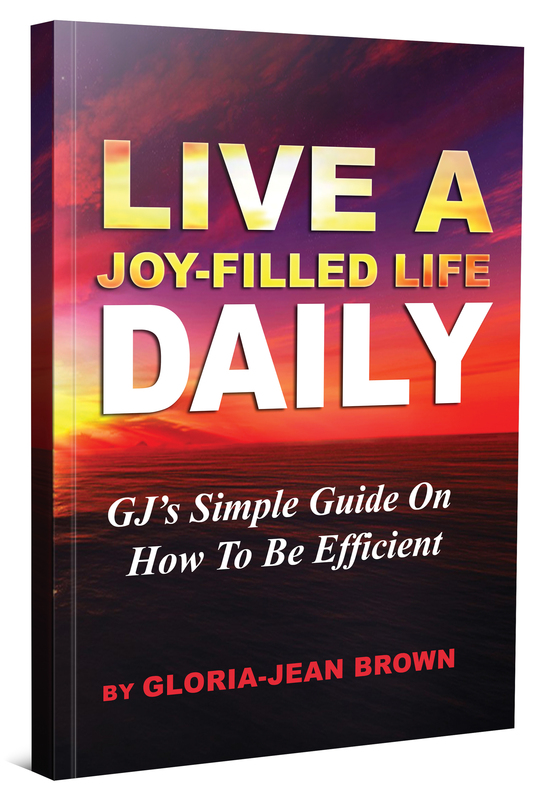 Gloria-Jean Brown’s purpose in writing this book and the exercises is to assist you in finding where you are and moving you towards living a life in which you will have joy and peace daily. This will be a process where you will take a journey through your life, thus far, and plot new goals and pathways to be as happy as you can be. You will begin your journey with “making your own sunshine”. You are always with you! You have to develop and maintain your own positive attitude towards all you do. Do not let others rain or condemn your parade. You will analyze why you do what you do. Setting goals is a major piece; but, are you setting the proper priorities? How do you plan and schedule? How will you ‘make it happen’? This guide will provide assistance for handling interruptions, and being more effective with various communications venues (written and e-mail). The author shares how to conduct a productive meeting and how to banish procrastination; delegate effectively and be the best Team Member – ever. 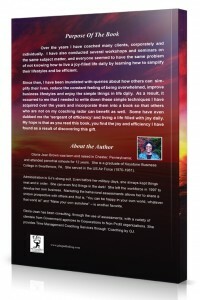 This book will empower you and show you how to be your best. When challenges occur, as they will, you will have your ‘blueprint’ in place to pick up and continue on. 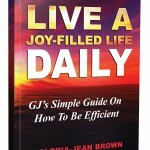 Live A Joy-Filled Life DAILY – GJ’s Simple Guide On How To Be Efficient — $14.95 plus Sales Tax and Shipping. with your mailing address – so you may be sent the proper invoice for your location. You may also call 866.437.2397 to place your order. 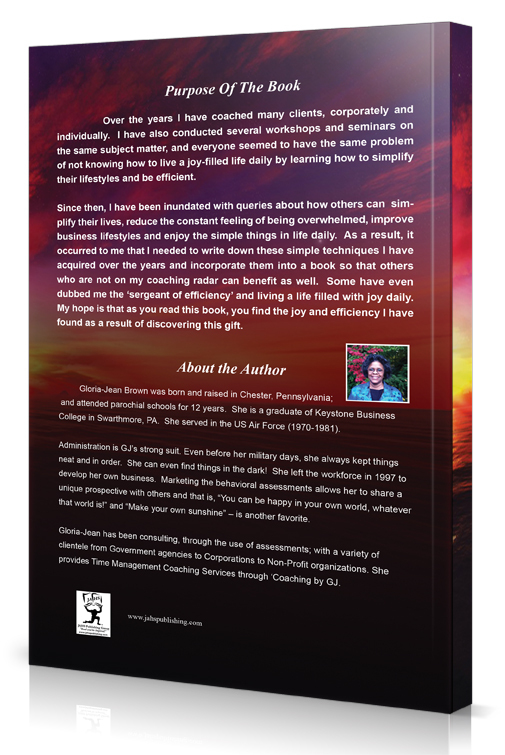 Live A Joy-Filled Life DAILY … may, also, be purchased on Amazon.com.